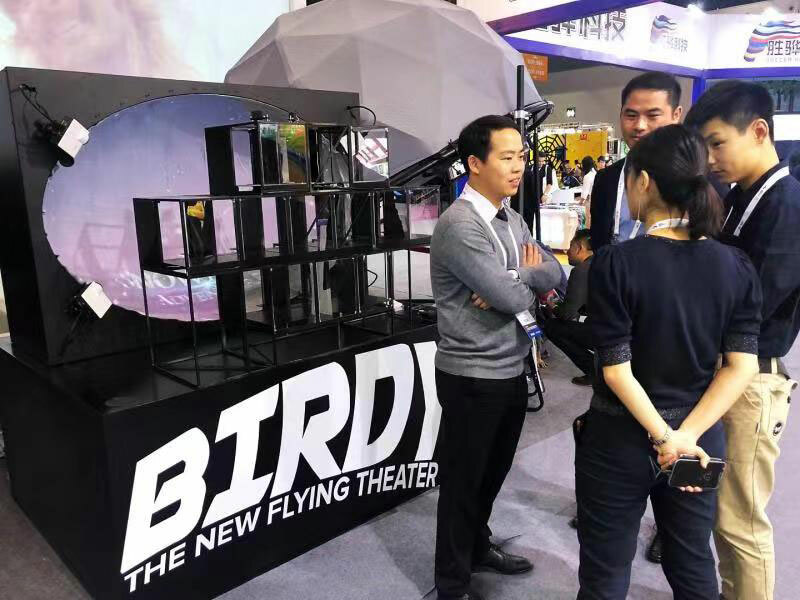 We recently showed off our Birdy at the world’s largest trade exhibition of amusements China Attraction Expo 2018, which took place in Shanghai from October 21-23. 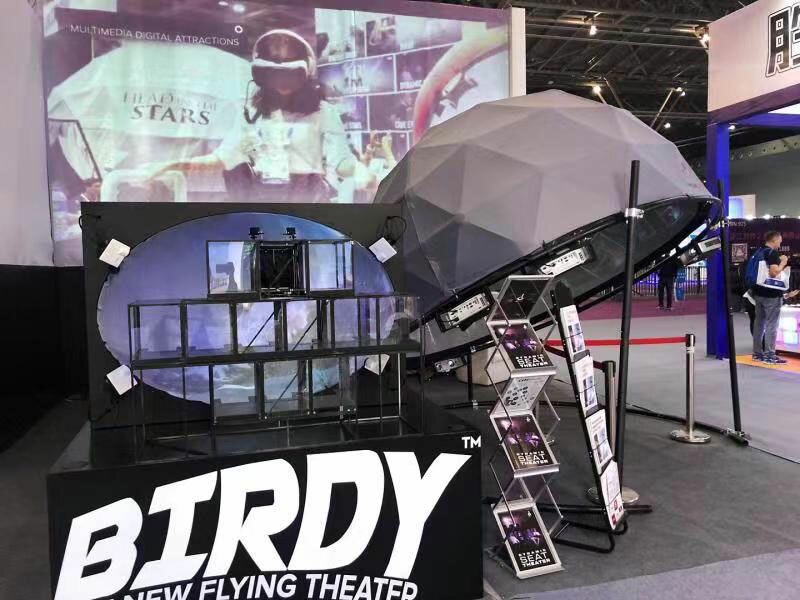 Birdy is the new flying theater with the special elliptical screen that combines large 360 projection dome by Fulldome.pro with fully reclined 4D chairs with 3D effects in an armrest from CL Corporation. The real feeling of flying in front of a giant 360 vertical dome screen providing 4K to 5K resolution. The unusual shape of the screen means it can be installed in venues with low ceilings. Why does Birdy amaze the audience? The China Attractions Expo is organized by the Chinese Association of Amusement Park and Attractions (CAAPA) since 1990. 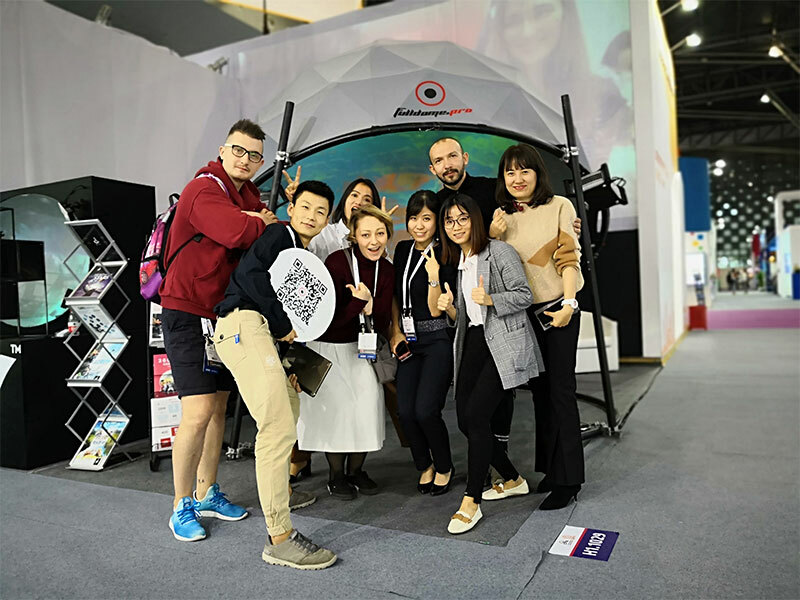 It is the most established international amusement, and attractions exhibition in China attracted over 510 domestic and international exhibitors and over 40000 visitors in 2018. 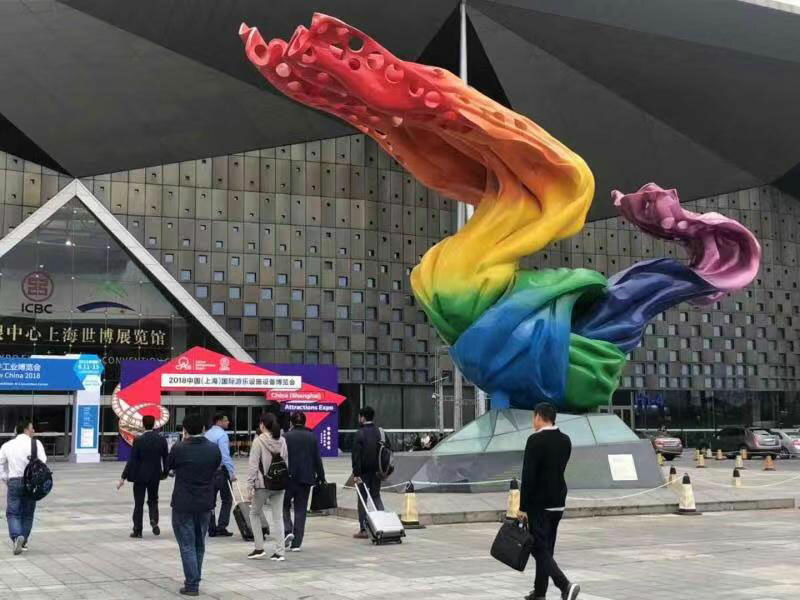 China Attractions Expo Shanghai attracted buyers and visitors from the south and west of China. It featured amusements, entertainment forums, events and attractions, educational sessions, interactive sessions, and related exciting activities.